Taiwo Abe was born in 1975 and comes from Ilesha, Osun State. 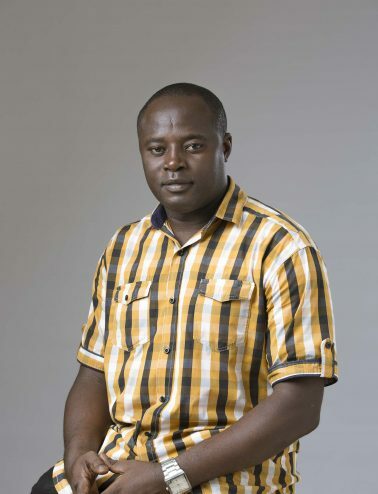 He attended the prestigious Yaba College of Technology, Lagos where he obtained an HND in sculpture in 2003. He is a versatile artist and has many commissioned works both in painting and sculpture. These include Lagos State House of Assembly Mace, First Bank emblem (elephant), portrait of Mr & Mrs Parker (Oregon USA), portrait of Chief Justice Chukwudifu Oputa, among others. Taiwo is a proficient tutor of creative art to children with awards to his credit. 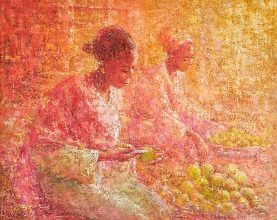 He has participated in collaborative exhibitions and his works can be seen in private and public collections in Nigeria and overseas.